Come to an admissions event to see if we’re the right fit. There are many opportunities for you to get to know Alder Graduate School of Education. We hold various events so you can check out our local school sites and learn more about our academic program/residency model from current residents, alumni, faculty, and staff. Please visit our admissions page for a calendar of events and click here to register for a recruiting event in your area. Learn more about what we look for in candidates by reviewing the Alder Key Competencies. Email us at admissions@aldergse.org to request more information or connect with a recruiter. Alder, in partnership with our university partners, supports teacher residents in obtaining their Teaching Credential in subject areas that vary by partner. Some options include: Elementary/Multiple Subject (grades K–8); English (grades 6–12); Math (grades 6–12); Science (grades 6–12); Social Studies (grades 6–12); Special Education – Mild/Moderate (grades K–12); World Languages (eg: Spanish). Please note that Special Education – Mild/Moderate (K–12) is available only to our California Residents. Choose your partner school and begin your application through their online application page.  If you are interested in learning more about all our programs, please email admissions@aldergse.org. All top candidates will be invited to K-12 partners’ regional interview days. Interviews will take place in the weeks following online application submissions. Conditional offers will be extended to candidates pending mentor match and acceptance to University of the Pacific or Relay Graduate School of Education. Once a candidate accepts the offer, they will be matched with a mentor teacher and encouraged to connect with current residents. At this stage candidates applying to multiple K-12 partners will confirm their first choice to proceed with mentor match and enrollment. For California, complete the application to University of the Pacific – see here for overview of admission requirements. For Memphis, Tennessee, complete the application to Relay Graduate School of Education (application link coming soon).